Matt Townsley, Director of Instruction and Technology at Solon Community Schools in Solon, Iowa on Tuesday, March 8, 2016. Townsley is the district's Director of Instruction and Technology, meaning he has the rare ability to set the budget for both. Townsley is a former math teacher, and has worked in the district for his entire career. Solon is a town of approximately 2,500, located equidistant from Iowa City and Cedar Rapids, in eastern Iowa. South Dubuque Street in Solon, Iowa on Tuesday, March 8, 2016. 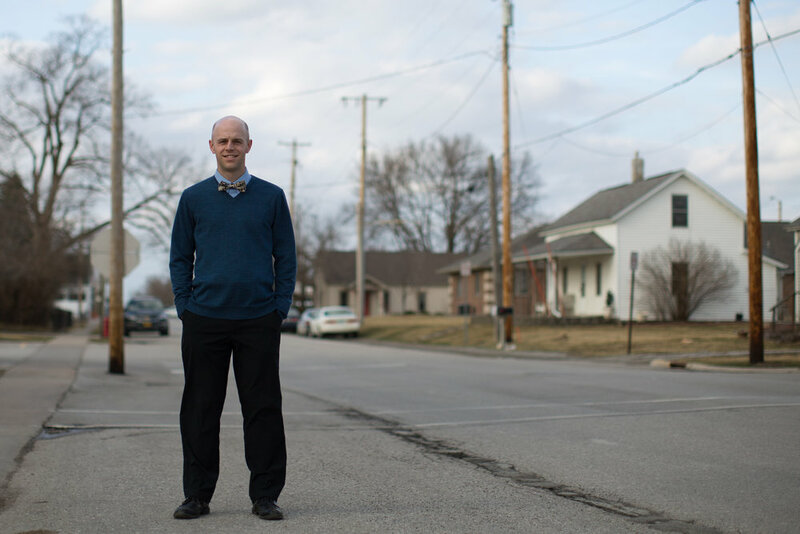 The town of Solon is home to about 2,500 people, but thanks to a sprawling geographic area and Iowa's open enrollment policy, the district has more than 1,500 students. Solon declined to adopt a 1-to-1 device program since most students already have their own devices, instead using the money to transform the library into a modern, technology-centric meeting space. Townsley speaks during a Skype call on Tuesday, March 8, 2016. A school bus driver navigates a muddy, unpaved road in Solon, Iowa on Tuesday, March 8, 2016. Hayden Taylor, Connor Patrick, Tyler Hancox, and Luke Luu (left to right) ride the bus home from school in Solon, Iowa on Tuesday, March 8, 2016.